So, I just returned from the Combined Sections Meeting for the APTA that was held in Indianapolis. There was lots of great networking and presentations to be sure. I attended sessions on ACL rehab/prevention, femoroacetabular impingement, elbow injuries in throwers, running gait analysis, and shoulder plyometric training with the legendary George Davies. I thought I would give you my top 10 list of helpful nuggets I picked up over the weekend in no particular order of importance. 1. Performing upper body plyometrics has no effect on untrained subjects so don’t waste time putting it into the rehab program, where as it does benefit trained overhead athletes. The one caveat is it also increases passive horizontal external rotation so keep this in mind when working with athletes who have shoulder instability. 2. A new study coming out in 2015 in AJSM revealed no major differences in throwing kinematics between those following UCL reconstruction (Tommy John) and age-matched controls. This is good news for those worried about pitching mechanics after the procedure. 3. 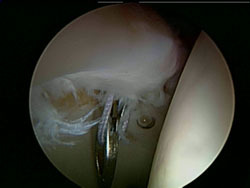 According to Dr. Reiman at Duke, the orthopedic hip exam does a better job of telling us they do not have a labral tear than it does telling us they do have an intra-articular problem. The tests have poor specificity. In fact, he goes on to say that the “special tests are not that special.” That brought a chuckle from the crowd including me. Bottom line – we are not really able to conclusively say “yes you have a labral tear based on my exam today. 4. Reiman also feels we must consider look for mechanical symptoms during the lowering portion of the Thomas test, while considering the fact that fat pad impingement may cause anterior hip pain as opposed to joint pain. Again, things are not always as they appear in the “FAI” crowd so we need to take a great history, look at the classic tests and also see how squatting and loading affects the hip. 5. More experienced pitchers do not drop the glove side arm, but instead tend to move their body toward the glove to conserve angular momentum and overcome small moments of inertia. Less experienced pitchers rotate their trunk sooner in pitching cycles whereas pitchers who threw at higher levels rotated later and produced less torque at the shoulder. Consequently, many players with higher elbow valgus torque and distraction force at the shoulder rotate too early. I currently present an on demand and live webinar intended for physical therapists through Allied Health Education (www.alliedhealthed.com) on femoroacetabular impingement (FAI) regarding the recognition of this condition and current treatment principles. Currently, I see on average 3-5 new patients per month with acetabular labral tears and/or those recovering from hip arthroscopy for this issue. As such, I am always staying abreast of the current literature on it. There is a new research design study that was just published in the August 2014 edition of the Journal of Orthopaedic & Sports Physical Therapy regarding hip pain as it relates to these patients. Specifically, the authors point out that some but not all of the hip pain may be attributed to intra-articular pathology. They suggest that extra-articular contributions from soft tissue (or myofascial pain) may account for hip pain thereby making the diagnosis and assessment of these patients even more complex. The authors raise some interesting questions about lingering posterolateral hip pain that does not respond to injections or arthroscopy at all. 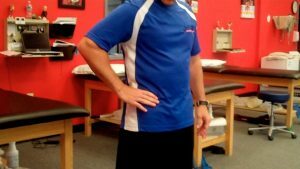 Further, they assert that these patients may have more than one source of hip pain, as well as the possibility that the true source of the pain may not be related to the labrum at all. based on their experience they find that taut and tender gluteal, external rotator and tensor fascia latae (TFL) muscles are present in people with acetabular labral tears who also present with posterolateral hip pain. Previous research has identified myofascial taut bands or nodules as sources of such pain. The first is a (2) hour webinar on Current Concepts in the Recognition and Treatment of Femoroacetabular Impingement tonight, August 23 from 8-10 PM. The course is intended for PT’s, PTA’s and ATC’s looking for an in-depth presentation on the condition and its management. Click here for more information. In addition, I am scheduled to present two (1) day seminars on “Fit Knees” in Greensboro, NC on Sept. 7 and Richmond, VA on Sept. 8. This lecture/workshop event will feature my evidence based approach to injury prevention and rehabilitation for knee osteoarthritis, running injuries and ACL injuries. The material presented in this seminar is intended to help identify knee dysfunction and implement safe and effective rehab, corrective exercise and training strategies tailored to meet the needs of each client. Attendees will learn how the presenter utilizes the FMS, Y-Balance test and other screening tools to determine limb asymmetry and imbalances. Additionally, participants will learn how to use assessment and current research to create effective training programs, facilitate the rehab process and guide post-rehab decision making. Click here for more information. If you have further questions, feel free to post them on the blog. Let me start off by saying I have the privilege to assess and treat many avid runners on a weekly basis. Some of them are triathletes and others just dedicated runners. While the age and experience level varies, I see more female runners in all. Recently, a woman in her mid thirties came in for PT after being referred by a physician’s assistant (PA) with a working diagnosis of hip flexor tendinitis. She had developed pain running in the past few weeks. It was now at a level preventing her from running despite using NSAIDS to reduce inflammation. Specifically, she complained of increased pain with figure 4 sitting, difficulty and pain getting up from a chair, and increased pain with running. Her pain level at the eval was 2/10 but went as high as 9/10 with running. Lots of things can cause pain in the hip joint.